on the occasion of its 10th anniversary. 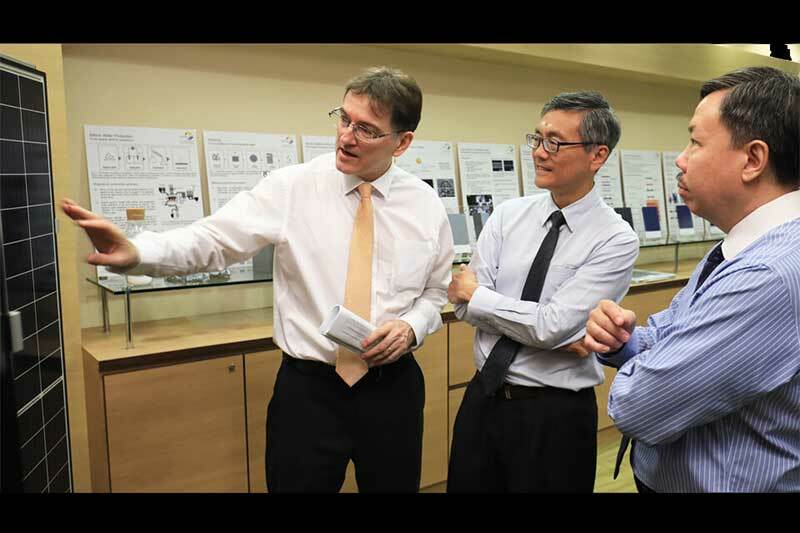 mission to be Singapore’s national institute for applied solar energy research. (NRF) and the Singapore Economic Development Board (EDB). applied solar institutes in the world. industry in the last 10 years. quality assurance (details about these are available here). of NRF to develop a 30% efficient thin-film-on-silicon tandem solar cell. cost-effective 30% efficient solar cells. materials will be investigated as top-cell materials. building envelope with PV, including the facades. Singapore’s PV capacity will be installed on top of, or attached to buildings. suitable for off-shore applications in sheltered waters like Singapore. project is funded by EDB. waters in and around Singapore. future which will supply energy to nearby industrial zones or living areas. Watts more than other commercially available standard panels. contacts to a large European photovoltaic equipment manufacturer. of SERIS’ leading solar forecasting work. systems in the world, which is installed within the NUS Kent Ridge Campus. energy outputs. ), with very little degradation. globally at the 2017 Asia Clean Energy Summit. Assistant Managing Director at EDB.